Juventus secured its eighth Italian Super Cup title on Wednesday after winning the competition's final match 1-0 against AC Milan. The winning, and only, goal of the match was scored by Cristiano Ronaldo. 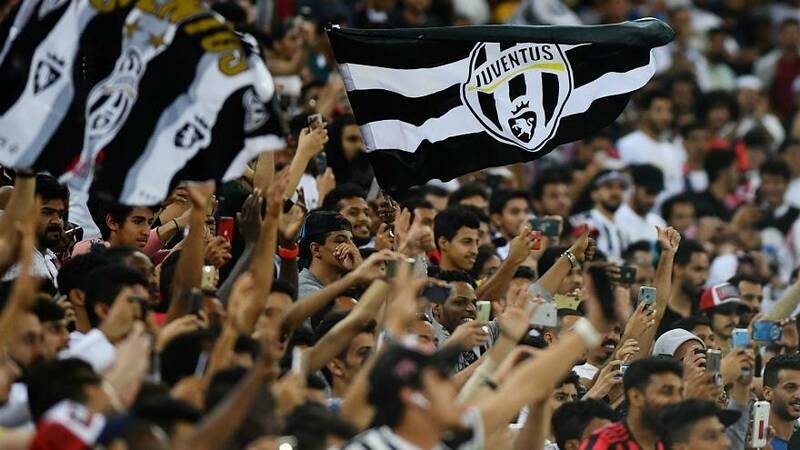 Despite this being a record win for Juventus, and Ronaldo's first trophy with the team, the match was held amid a backdrop of controversy due its location in Jeddah, Saudi Arabia. Italian politicians first criticised the planned location back in October after the brutal killing of journalist Jamal Khashoggi inside the Saudi Arabian consulate in Istanbul. Luca Lotti, Italy's former minister for sport, called on the Italian government to reconsider holding the Super Cup final in Saudi Arabia, saying it should be "immediately blocked." "The terrifying news of the hideous death of journalist Khashoggi leaves me astonished," he said in a Facebook post. "The international community must make its voice heard at all levels. I believe that even the world of Italian sport cannot and should not hold back." Fast forward to January, and match organisers were criticised once again after it became clear that the stadium would consist of different sections for men and women. A seating chart released by the Saudi General Sports Authority showed a split for "singles," which ticket sellers revealed were men-only sections, and"families" which were mixed gender sections, where women were permitted to watch. In Saudi Arabia, women are required to be chaperoned in public by a man, who is usually either a husband or a family member. Italy's deputy prime minister, Matteo Salvini, said he found the decision to segregate the fans "disgusting." In a video broadcast live to Facebook, Salvini said he would boycott watching the match. "That the Italian Super Cup is played in an Islamic country where women can't go to the stadium if they're not accompanied by men is a sadness, it's rubbish, he said. "I won't watch the game"
Italian politician and former UNHCR spokesperson Laura Boldrini expressed her disbelief over the news on Twitter. "Women go to the Italian Super Cup stadium only if accompanied by men. Are you kidding me," she wrote. "The lords of football sell the rights of matches, but do not allow themselves to also trade the rights of women!" Former sport minister Lotti said he once again joined the criticism. "Those who love football reject all cultural barriers. All the time," he said. However, match organisers defended the decision to hold the Super Cup final in Saudi Arabia. In a lengthy statement, the president of the Serie A league, Gaetano Miccichè, addressed both criticisms, saying "the football system can not rise to authority on issues of international politics, nor can it make choices that do not respect the country system." Miccichè also insisted that female spectators would be allowed to enter the stadium without a male chaperone, however it was not immediately clear if this was the case on Wednesday. Euronews has reached out for comment. The Super Cup "will be remembered by history as the first official international competition to which Saudi women can watch live," Miccichè said, referring to the Saudi government's decision last year to allow women into stadiums for the first time.